Ready to begin the Loan Qualification or Refinance process? Before you meet with your MaxReal Mortgage Specialist we ask that you please download the form below and have it filled out to the best of your knowledge before you schedule a time to meet. This will allow your MaxReal Mortgage Specialist to work in a much more efficient and effective manner to better suit your needs. If you have any questions, please give us a call today at (408) 516-4680 and we will be happy to help. Thank you. There are some important documentations that you must have, in order ensure that your mortgage application or refinance goes smoothly. This means it will be little much easier to gather together all the paperwork which needs to be supplied to the broker or to the bank. The basic documents that you will have to submit are, of course your personal identification and financial documents. These two basic documents that will be provided to the broker or the bank are essential, so make sure you have these handy. Depending on the mortgage company, either the broker or the underwriter will verify that the information is correct, however if the information cannot be cleared; more documents may be required. To make it easy for you know what exact documents you need to give your broker or bank, the list below will help you out. Paycheck stubs: Make sure that you have copies of your paychecks from the past three months to provide to the mortgage company. If you have managed your own business or work on commission, you will be asked for a year of paycheck stubs and a profit and loss statement. Retirement Income: If you are retired, the broker will require that you provide them with copies of the retirement payments you receive and have received. Bank statements for checking and savings account: Provide copies of bank statements from the prior three months. Confirmation of lease and rental agreement: Have a copy of your lease agreement or signature on a form by your landlord. 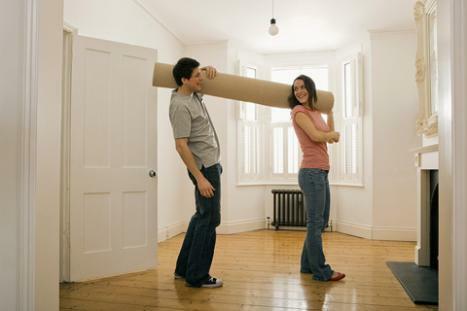 The broker will most likely will contact your landlord to verify that you pay your rent regularly and on time. Employment verification: There is a form that your employer will fill out and sign, verifying your salary, length of employment, and if your work status will change. This will also let them know if you are up for a pay raise. Tax returns: A lot of brokers will ask that you provide them with three years of tax returns, but be able to provide at least a year of full tax return. If you are refinancing another home, provide the broker or bank with copy of the current mortgage, in addition to the note. To get your hands on a copy of the mortgage, you must remember that they are filed in public records and are easy to attain. However, the same is not true for the note because it is a little harder to find, so you may have to track down a copy from the old lender. Most notes are often times sold to third parties and are not easily attainable; therefore, mortgage companies will be understanding and will only ask for a recent copy. Hopefully, the list above will help you gather the documents which you need and get you on your way. There are some special chances in which there will be other documents needed, such as assets and retirement accounts. With all these, you will surely be ready to apply for a mortgage. If you have any additional questions, please give us a call today at (408) 516-4680 and we will be happy to help.